Omri is a serial entrepreneur with a long track record of turning transformational ideas into real businesses. 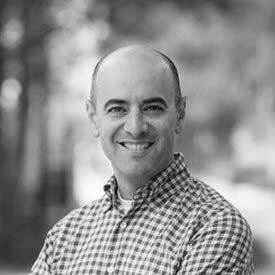 Before joining Marqeta, Omri was CEO of “cleantech” innovator TerraFusion, where he led a turnaround and overhauled its brand, sales function and distribution network. Previously, Omri spent seven years at the Trium Group, a boutique management consulting firm that advised Fortune 100 executive teams in the sectors of financial services, consumer products, retail and telecom. Omri founded and led Trium's New York practice, where he developed over $20 million of revenue and became the first person at the firm promoted to partner. Omri's earlier ventures included ground-floor stints at The Republic of Tea (sold to Clearly Canadian), a division of Calvert Group, and OneBody.com, whose first-ever wellness discount program became BlueShield's "Lifepath" product. He also spent a summer on President Clinton's White House Staff, advising Dr. Laura Tyson while she was Chair of the Council of Economic Advisors. Omri holds a BS from the University of California at Berkeley and an MBA from Harvard Business School.